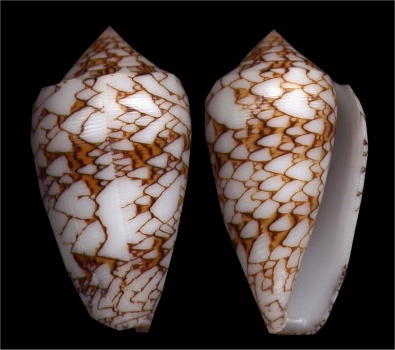 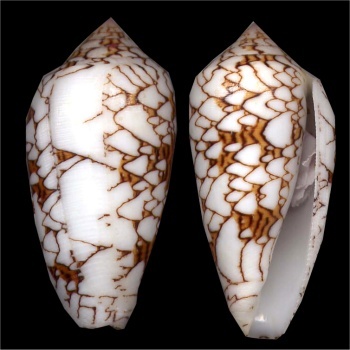 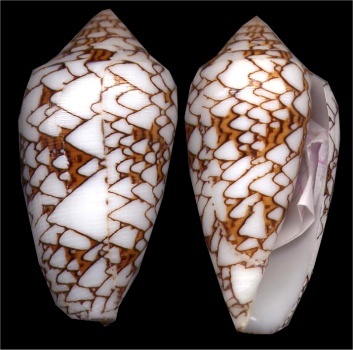 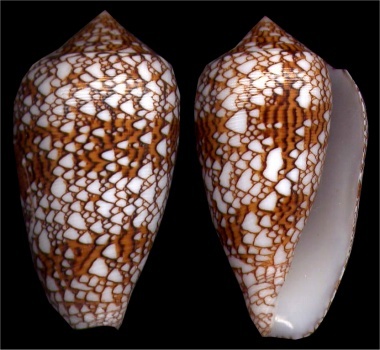 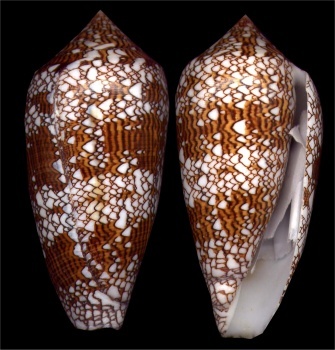 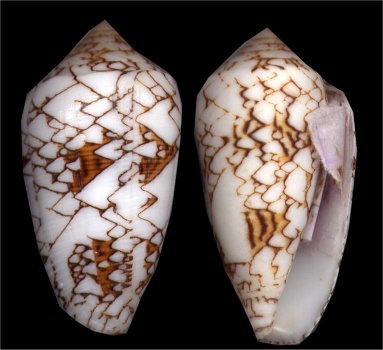 Conus textile f. verriculum is restricted theorically to the Indian Ocean and is usually found in Madagascar and Mauritius (see the pictures below). 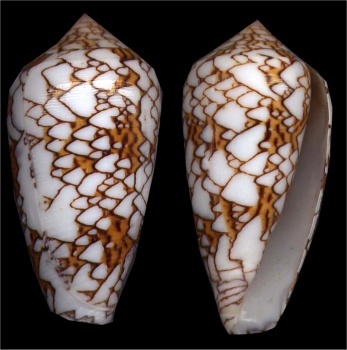 Recently, Mr Balleton and myself were able to collect a local variation of Conus textile from the Tuamotu Atolls. 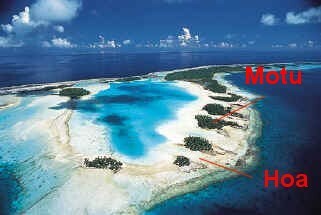 We went to Hao and Fakarava Atolls, and both Atolls had this variation (see the pictures below). 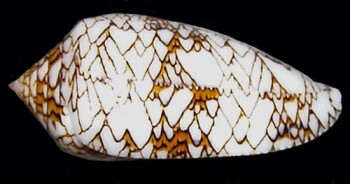 We named it f. "pseudoverriculum" for our personnal data and for fun (no more forms can be described anymore). 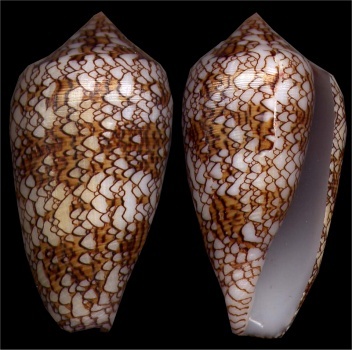 When you study those specimens, they clearly look like Conus textile f. verriculum. 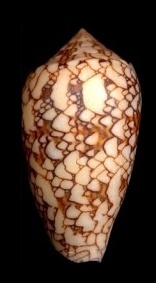 The pattern is very close and the size too. 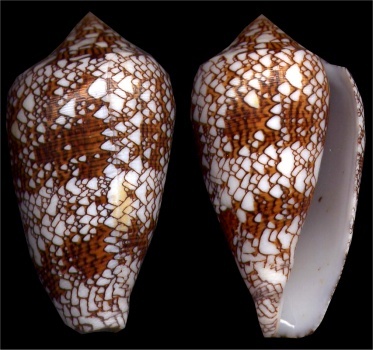 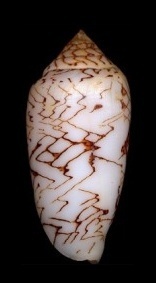 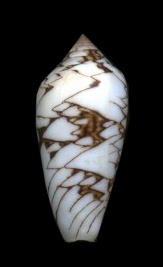 Conus textile f. verriculum were of average size smaller than the usual Conus textile. 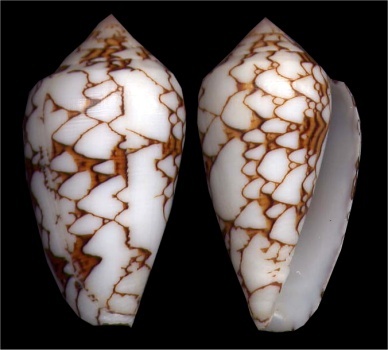 Even if big specimens of the Tuamotu variation can be seen (I only found one huge specimen, 94.9 mmin, the calm waters of the lagoon though), the specimens we found were all smaller than usual. 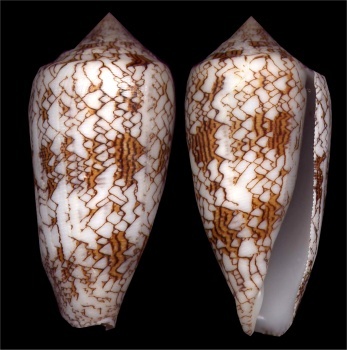 Though, some specimens have a little different pattern than Conus textile f. verriculum, they have huge white triangles instead of many grouped ones like usual. 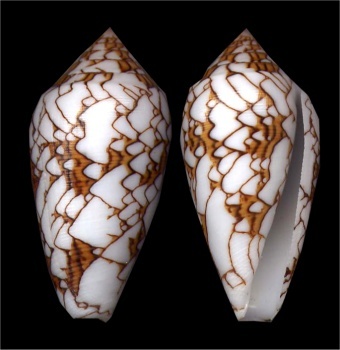 The specimens from Tahiti, Moorea and all other Society Islands, are of course very different. 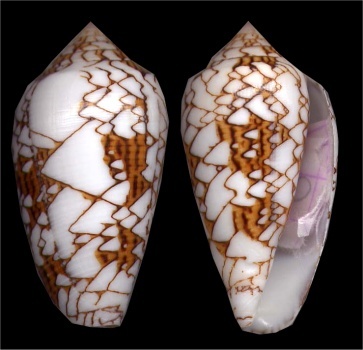 Such a variation is also reported from other Pacific Ocean places like New Caledonia (see picture below) and Wallis Island. 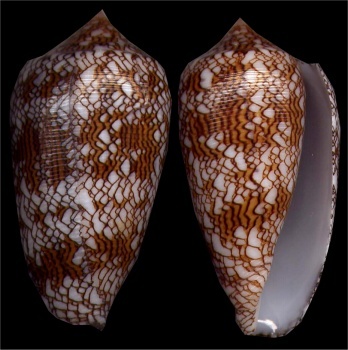 This could extend the range of Conus textile f. verriculum from both the Indian Ocean to the Pacific Ocean. 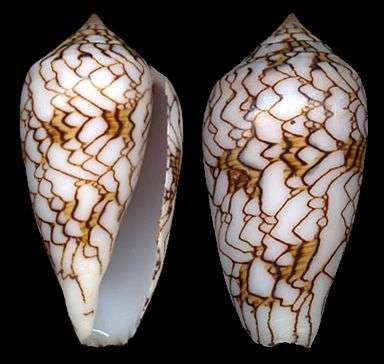 By the way, we can also consider that those from the Pacific Ocean, and especially from Tuamotu, could be distinct forms/variations. 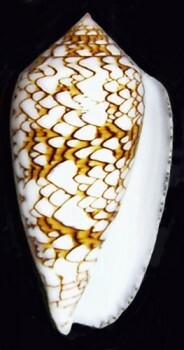 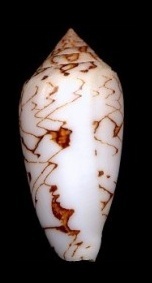 As we cannot describe any more forms, we will then be obliged to name these strange specimens Conus textile. 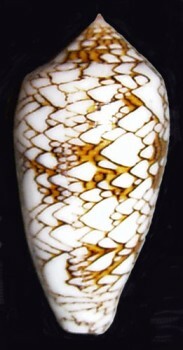 We found many specimens, all having unusual patterns. They were all found in shallow lagoon or in "Hoa" (channel which separate two small islands on the reef, also called "motu"). 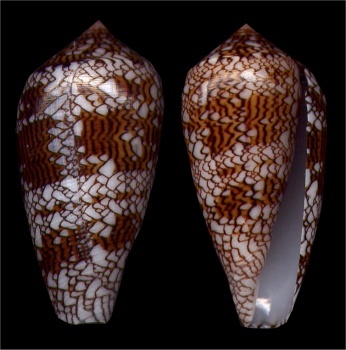 They were mostly hidden during the daytime, partially or totally buried in the sand. 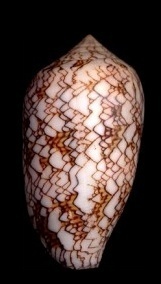 Conus textile is uncommonly to commonly found there. 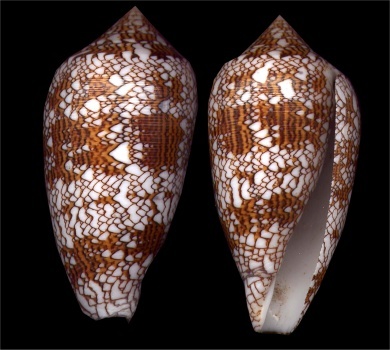 I also found one by following a trail in the sand during the daytime, the shell was totally burrowed and was hunting because its probocis was maximally extended. 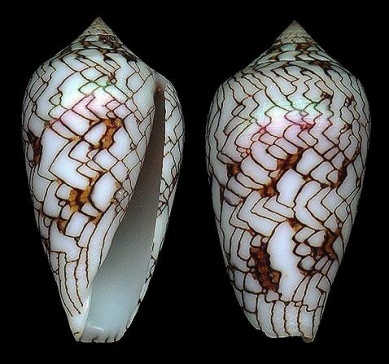 That's the first time I ever find a Conus textile that way.